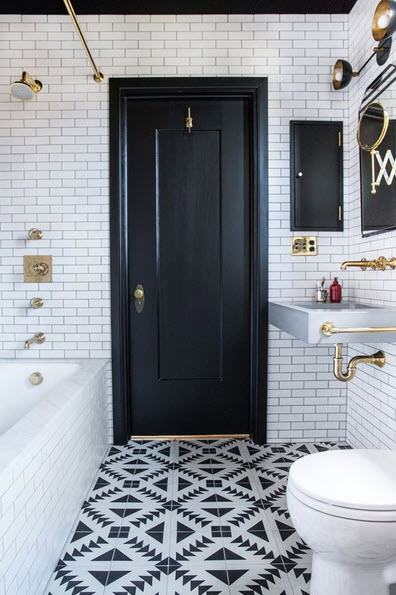 For the past several years, black has been showing up all over interiors from bathrooms to kitchens and everything in between, and if you know me, you know that I always include a little black in every interior I design. 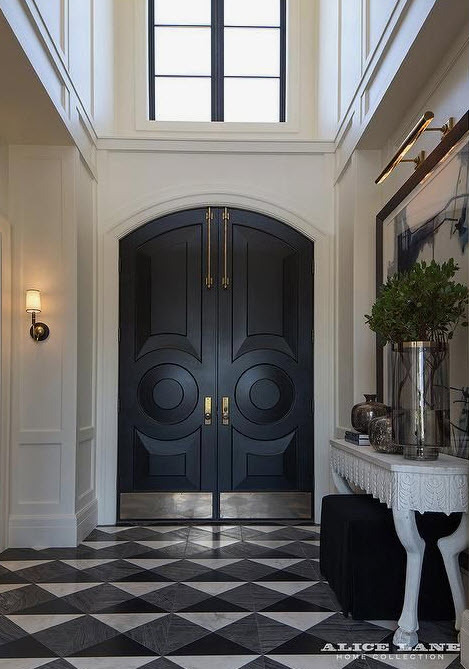 I am particularly taken with the black interior door trend we have been seeing. Opting to paint one of your interior doors black is a simple way to completely transform your home without shelling out the big bucks. Take a look at this black beauty - perfection! Sophistication: Especially when the door is framed with a clean, crisp, white trim. The black brings a definite feeling of elegance to the space. Easy clean up: From a very practical view, a busy household can benefit from a dark color on the door. Choose a rugged, high-gloss sheen and the dark surface will make fingerprints and scuffs a thing of the past. Works well with everything: Once the door is painted, other black elements in the room will pop and connect. It creates a look of cohesion. Accentuates a view – Black painted doors are great for framing a fabulous view. Custom look – painting your builder basic white doors black creates a more expensive, custom look and adds character to any space. The proof really is in the pudding. Take a look at these doors and tell me they don’t look amazing! French doors, bathroom doors, pantry doors, or a mud room door. They all look fabulous dressed in black! When considering which door to paint black, remember less is more. 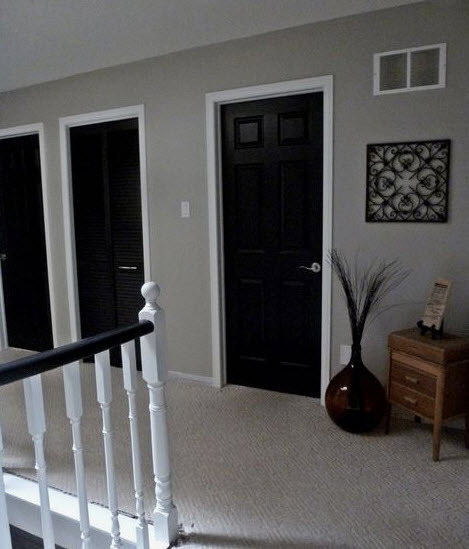 If you have a room or hallway with numerous doors, painting them all black can look busy. Choose your doors carefully, selecting the ones that have the most visual impact. I usually choose doors such as the front door, doors at the end of a hallway, or one point of exit doors in a room like a bathroom. Here are some glaring examples of what not to do. This, my friends, is how you pull off multiple black doors! The reason it works is that all of the walls and trim are white, no other paint color in sight, except the black doors. Fabulous, no? Now tell me, have I convinced you to consider painting a door in your home black? If you have already painted your doors, I would love it if you would share a photo with my readers. Thanks and happy painting!